The Caring Ministry and Outreach committee integrates and supports all the pastoral care ministries of the church and coordinates the congregational care of members and visitors of The Federated Church. The committee oversees the Parish Nurse program and Stephen Ministry program. The Christian Education and Youth Committee encourages and provides for the Christian nurture and growth of each member and visitor of The Federated Church. This is done through seeking out quality education programs, encouraging the church to live out our faith together, and cultivating cross-generational relationships. The Christian Education Committee also provides scholarship assistance to graduating high school seniors from The Federated Church who are pursuing high education degrees. The Committee disperses monies from a fund established by former Federated Church pastor, Rev. William Van Dyken and his wife, Marjorie Van Dyken. The Board of Deacons and Elders is the governing board of the church. All matters of policy affecting the church are determined by, or subject to review by, this Board. The Board has jurisdiction over all the groups within the church, and is subject only to the action of the congregation. 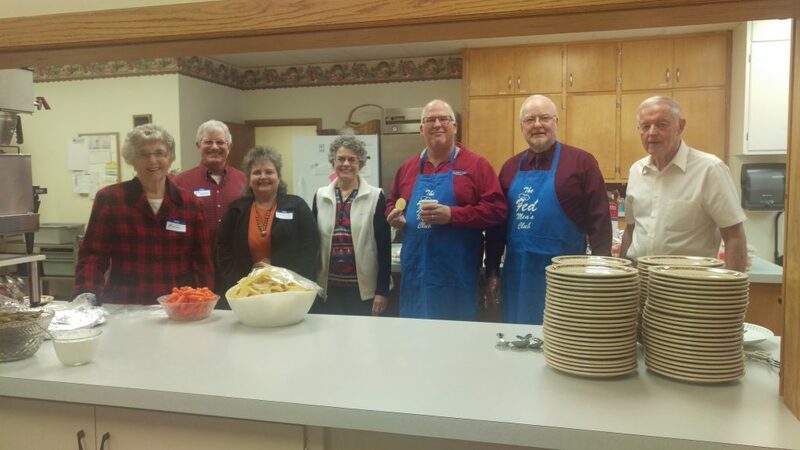 The Fellowship Committee seeks ways to bring the congregation together for fun and fellowship. The Board of Managers has oversight for all property owned by the church, and handles the payment of bills and the financial obligations of the congregation. The Mission Committee leads the congregation in its mission to fulfill Christ’s challenge to minister to one another in our church, in our community, and in the world by developing programs that give church members opportunities to serve Christ in these different spheres. The Nominating Committee is charged with the task of seeking and nominating individuals to serve on the church’s governing board and other committees. The committee strives to match individual’s gifts with the appropriate ministry within the church. The Personnel Committee coordinates and reviews staff relationships, benefits, and staffing needs of the congregation. The Stewardship Committee promotes joyful and responsible Christian stewardship of financial and human resources. They direct the church’s annual stewardship campaign, which starts at the end of September. During this time, the Stewardship committee works to raise awareness as to how our resources are managed, and how we as a Christian community can share our gifts for the greater good. Included in this campaign are ways to pledge and contribute. The Worship and Music Committee makes recommendations to the Deacons & Elders concerning times and places for worship, a schedule for the sacraments of Baptism and the Lord’s Supper, and plans for special services throughout the year. They staff and supervise the music ministries of the church. If you are interested in helping out with any of the following opportunities, please contact the church office for more information. We need and appreciate our volunteers! Volunteers assist with crafts and games; provide and serve snacks; or remain with the groups throughout the afternoon. Kids Club is led by Pastor Karen and meets on Wednesday afternoons from 3:30-5:30pm. Confirmation leaders play an important role in passing on the truths of our faith to the next generation. 7th/8th grade confirmation meets on Wednesdays at 4:30pm. Classes are taught by Rev. Doug Dent and Rev. Karen Anderson-Dent. Volunteers are needed to assist in each class. If you are passionate about connecting with high school students and pointing them to Jesus, contact us about being a youth group leader. Youth Group meets on Wednesday evenings from 7:30-9pm. One-time volunteers are also needed for various special events throughout the year. If you like to sing, can pick out harmonies, or play an instrument, contact us about using your gifts in the praise band. Rehearsals are Wednesday evenings at 6:30pm. 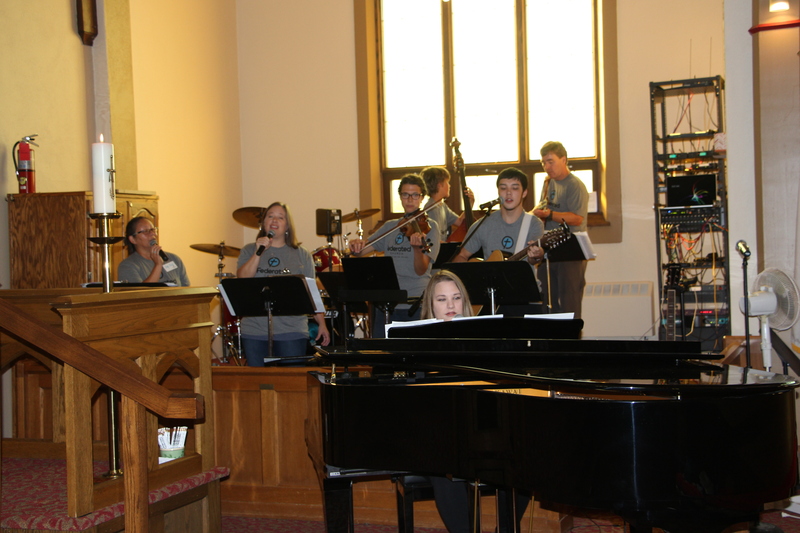 The praise band leads worship during the 9am service on Sundays, September – May, and 10am June-September. More voices are always welcome in the choir! 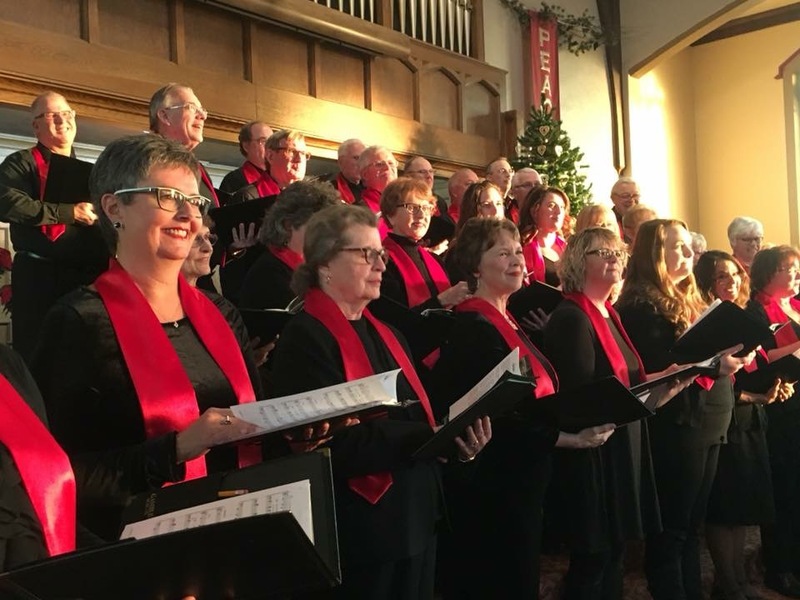 Choir rehearses on Wednesday evenings at 7:30pm, September through May, and sings during the 11am worship service on Sundays. Anyone with a basic foundation in music is welcome in the Bell Choir. Rehearsals are Wednesday evenings at 6pm. The Bell Choir plays on the fourth Sunday of each month, during the 11am worship service. Maintenance of the church building is done by Pete Konrad. However, if you have repair or maintenance skills and would like to be added to our list of people we can contact for occasional extra maintenance projects, please call the church office. In addition, if anyone notices something in need of attention by our maintenance staff, please fill out a custodial/maintenance request form and submit it to the church office.